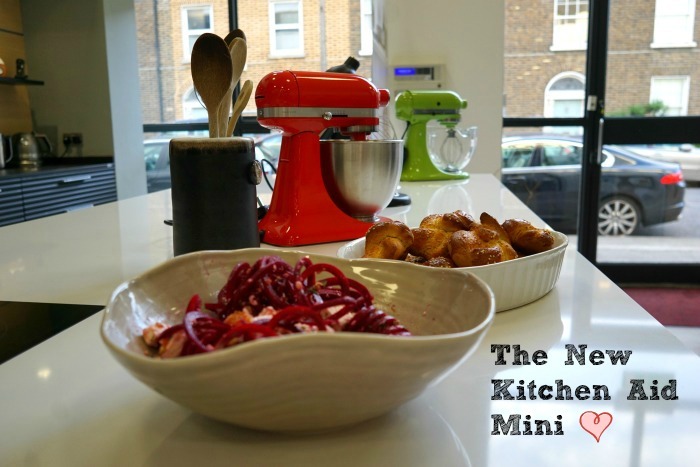 The New Kitchen Aid Mini ? “I have never seen you like this! You look so sad! Please come back. We’ll find a way!” “No! It’s too big!! There’s no way!” I called back to my husband as I was walking away, my Kitchen Aid mixer in a trolley behind me. It was a sad day friends. The day I had to say bye to my stand mixer because we were moving to Dublin (with the knowledge that the next stop would be San Francisco – a bit far to ship such a monstrosity). I miss it everyday. It’s been a year and I miss it everyday. This is probably why no one squealed louder than I did when the new Kitchen Aid Mini was revealed at a launch party hosted by Harvey Norman.